Designed to be welded to the front OEM lower control arm brackets. 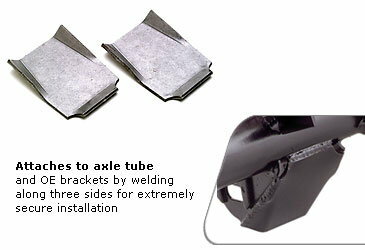 When welded on, they will add much needed strength to the brackets and act as a skid plate to protect the brackets and control arm bushings from rock damage. They are made from 3/16” thick plate and come in raw steel form as they do need to be welded in place.